POLYDROS” cellular glass provides waterproofing thermal protection and, as a steam barrier, prevents evaporation of the volatile components of the asphalt, slowing its ageing. In addition, “POLYDROS” cellular glass has the great advantage of its high compression resistance, and cannot be squashed, so that the insulation is not reduced and the paving does not sink. 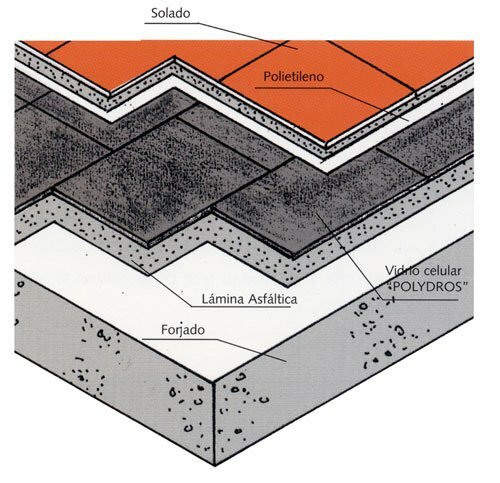 “POLYDROS” cellular glass plates are installed directly on asphalt strip. A strip of polyethylene is then installed on the cellular glass plates to separate the adherence plaster used to secure the finishing plate. “POLYDROS” cellular glass has the great advantage of its high compression resistance, and it cannot be squashed, so that insulation is not reduced and the flooring does not sink. “POLYDROS” cellular glass plates are installed on a plaster base, sand layer or bituminous emulsion, making sure that the plates are perfectly seated over their whole surface. 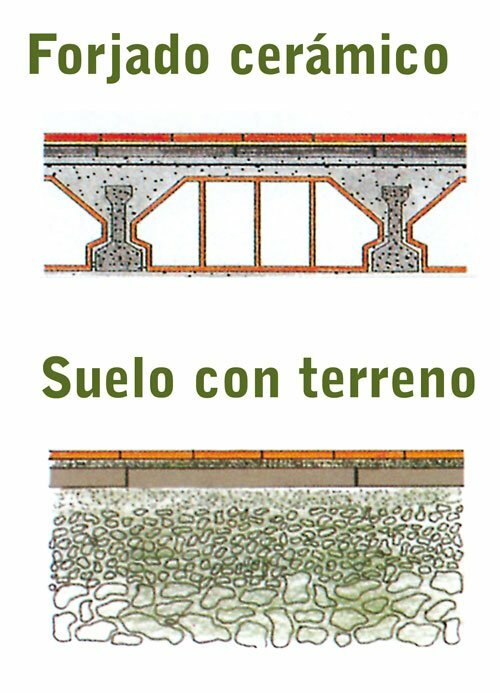 The material is covered at the same time with a 20 mm compression layer. This mortar must be separated from the “POLYDROS” cellular glass by a coat of bituminous paint or polyethylene strip.